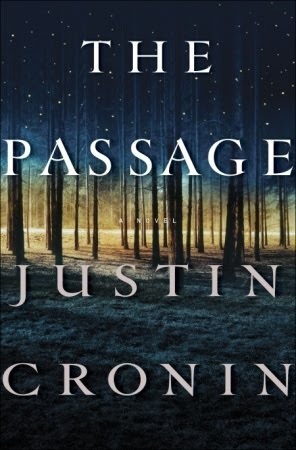 An epic and gripping tale of catastrophe and survival, The Passage is the story of Amy–abandoned by her mother at the age of six, pursued and then imprisoned by the shadowy figures behind a government experiment of apocalyptic proportions. But Special Agent Wolgast, the lawman sent to track her down, is disarmed by the curiously quiet girl—and risks everything to save her. As the experiment goes nightmarishly wrong, Wolgast secures her escape—but he can’t stop society’s collapse. And as Amy walks alone, across miles and decades, into a future dark with violence and despair, she is filled with the mysterious and terrifying knowledge that only she has the power to save the ruined world. This was an interesting one. I'm actually not sure what to say about it. It was pretty intense in some places and a couple of times I even had to go read a few pages of Harry Potter before I could go to sleep. I would definitely recommend this book, it's not your run of the mill zombie apocalypse story. There are definitely a couple of slow spots that don't seem to add much to the story, but overall it's a worthwhile read.